It’s been several months since I took a photo and a couple of years since I took a photo of a flower. When I first got into photography about six years ago, flowers were the subject that first interested me. But, after two or three years of dedicating myself to improving my flower photography technique, I felt I had taken the subject as far as I could go with it and moved on to other subjects. There are several great flower photographers out there – Joshua Taylor, Mike Moats, Kathleen Clemons, Tony Sweet are my favourites – that, after a while, when you realize that you will never attain their level of technical mastery or artistic interpretation, you conclude that you might as well give up and try something else. 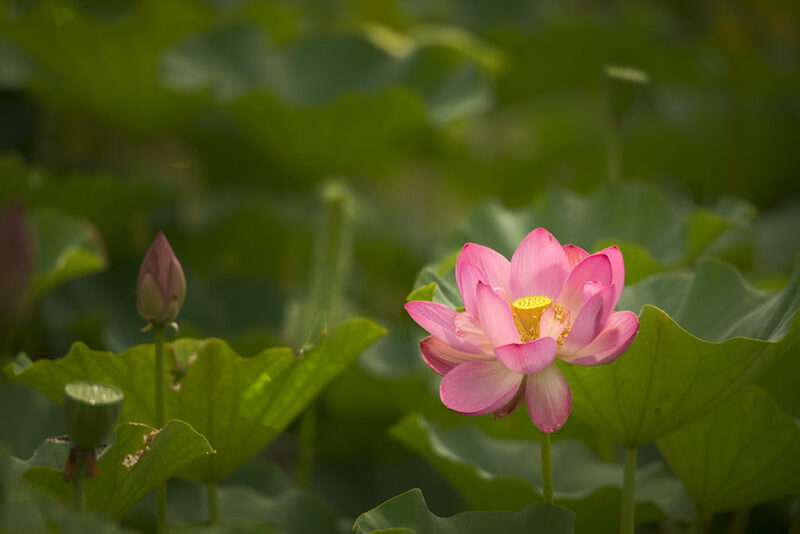 This morning, I felt a yearning to return to this old, familiar subject, so I drove over to Kenilworth Aquatic Gardens in northeast Washington, D.C., knowing that the lotuses and water lilies would be in bloom in early July. 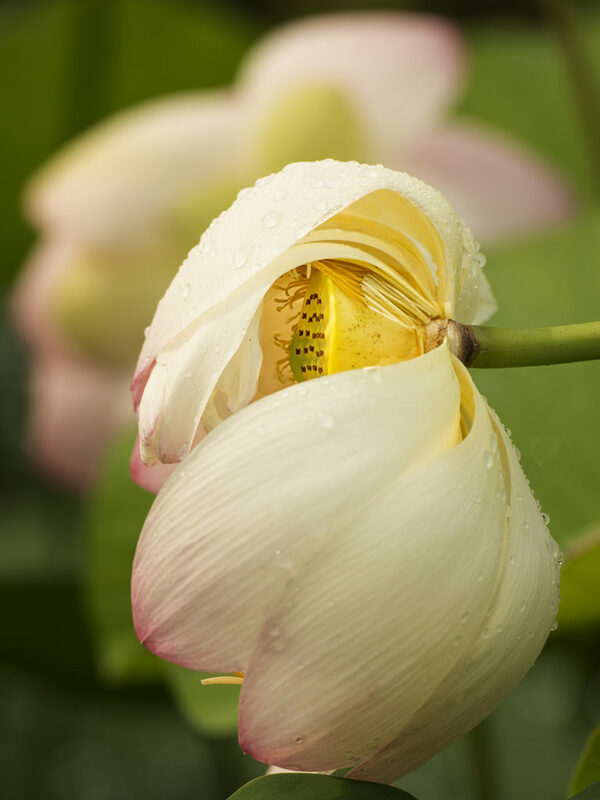 I tried not to let my earlier disenchantment with the subject dissuade me from enjoying myself nor to set myself the impossible objective of matching the best in the flower photography business. 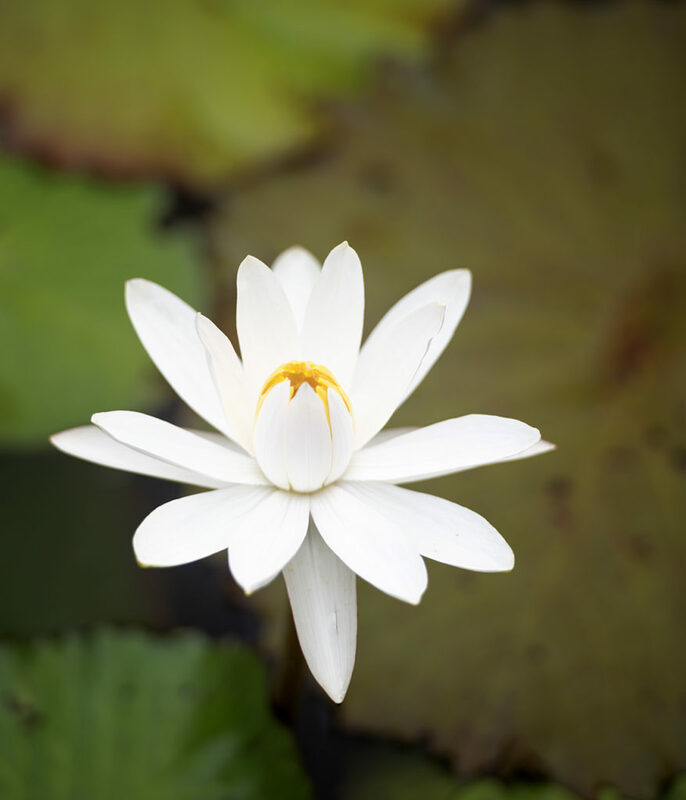 Rather, I just relaxed, took it easy and enjoyed a pleasant, sunny morning surrounded by the beauty of the lily ponds and lotus fields. Josh also says that there are only two times when you should photograph a flower: when it’s at its perfect best and when it has decayed and fallen apart. Mike Moats teaches that you should always look for a flower that has personality, the one that’s a big quirky and unusual. Mike calls it “the Lady Gaga flower”, that is, the one that’s an exhibitionist, the one that kind of weird, yet hard to ignore. 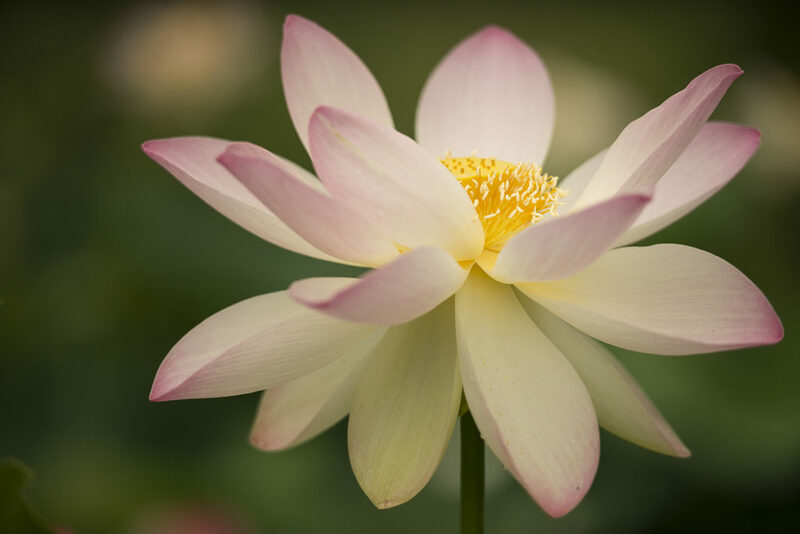 In the first and third images of this blog post, I was consciously following Josh’s advice and photographing a perfect, pristine lotus and lily. For the last image, however, I was definitely in Mike Moats territory, having found a substantially decayed lotus, whose leaves had collapsed in on themselves, leaving part of the seed pod visible for me to photograph from the side. Not a particularly pretty specimen but certainly a characterful one.